Fidel Castro’s Cuba was the epicenter of the most important crisis between the United States and the Soviet Union during the Cold War: in late October 1962, both countries came to the brink of war over the Cuban missile crisis. 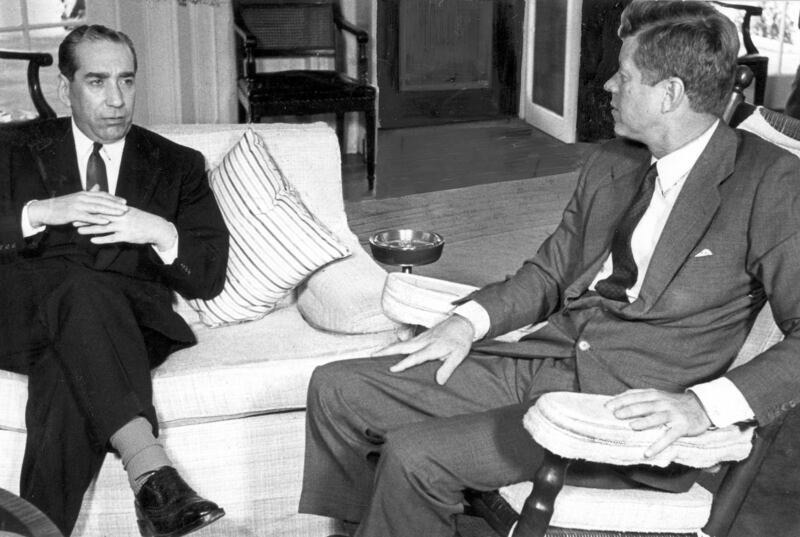 This episode had a direct impact in the relations between Portugal and the United States, which were at a low point since President John F. Kennedy had adopted a new African policy. The new administration, which took office a few days before the beginning of the war in Angola, decided that “Africa should be for the Africans” and that European colonialism in that continent should cease to exist. This new policy led to a major crisis in terms of Portuguese-American relations but it was always tempered by the American interest in maintining their military base in the Portuguese islands of the Azores. The Lajes Base was crucial in strategic terms and the existing agreement would end on December 31, 1962. Throughout the Kennedy years, the Pentagon constantly reminded the White House and the Department of State of the crucial military and strategic importance of the base in the context of the Cold War. The Cuban Missile Crisis would provide the military with the perfect example of how the Azores base and the Cold War were more important than Angola and anti-colonialism to the overall US strategy. Later that day, after receiving Nogueira’s report, Oliveira Salazar only authorized the Portuguese representative in the North Atlantic Council to make a formal statement regarding the Cuban crisis. The Portuguese government, recognizing the existence of a “serious threat to the United States and therefore to the security of the West”, believed that NATO countries should “state their solidarity with the measures taken by the United States government”. This belief was reinforced by the fact that “the Portuguese government has always considered, in relation to any attack on positions where the defense of the interests of the West are at stake, that this solidarity should be indivisible.” The last phrase of the Portuguese statement was a clear allusion to the situation in Angola, where the Portuguese government had always considered that the interests of the West were “at stake.” Although the United States had asked for a formal declaration of solidarity and availability of the bases, the official Portuguese declaration would be made only in a NATO context and did not contain any specific reference to the Azores. The Cuban crisis had profound consequences for Portuguese-American relations. From 1962 onwards, the United States changed again its policy regarding Portuguese colonialism. Not only the United States delegation at the United Nations (USUN) began to abstain or to vote against resolutions on Portuguese territories, but the Kennedy administration also authorized several sales of military equipment to Portugal. Public declarations by American officials criticizing Portuguese colonialism almost disappeared and contacts with Angolan nationalists were significantly reduced. The USUN and the Department of State were even forbidden to receive Holden Roberto from late October 1962 onwards.